It’s that time of year again, the snows start to melt, bulbs start to sprout, we lose an hour of much needed sleep, and parents begin to think about what camp(s) they’re going to send their kids to during the summer months. Children who grew up in central Florida and happened to spend a lot of time at Fort Wilderness may not have had typical residential or overnight camp experiences that formed the foundation of their summer memories. 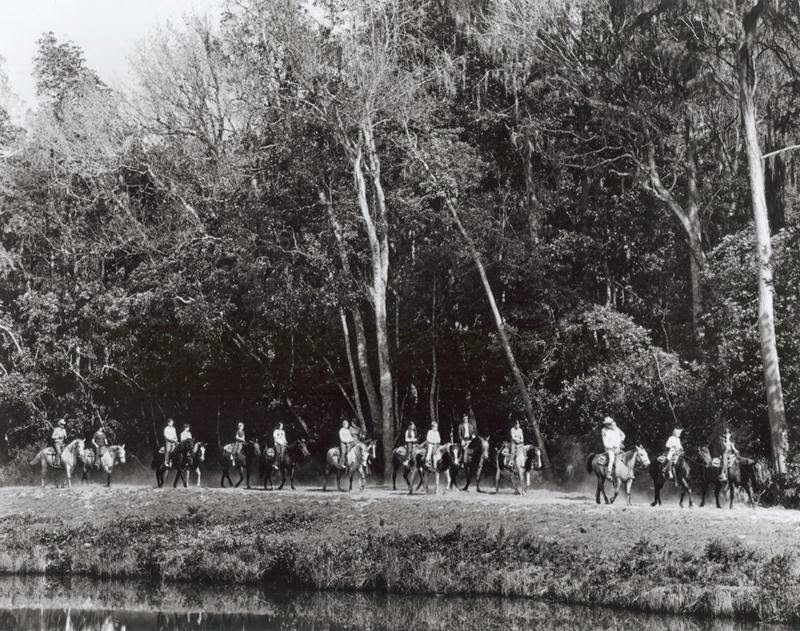 Looking back, once you get past Pioneer Hall, the Fort Wilderness Railroad, and the well-manicured swimming pools, maybe the Meadow and Settlement had more in common with traditional camps than we think. Let’s start with the basic landscape. 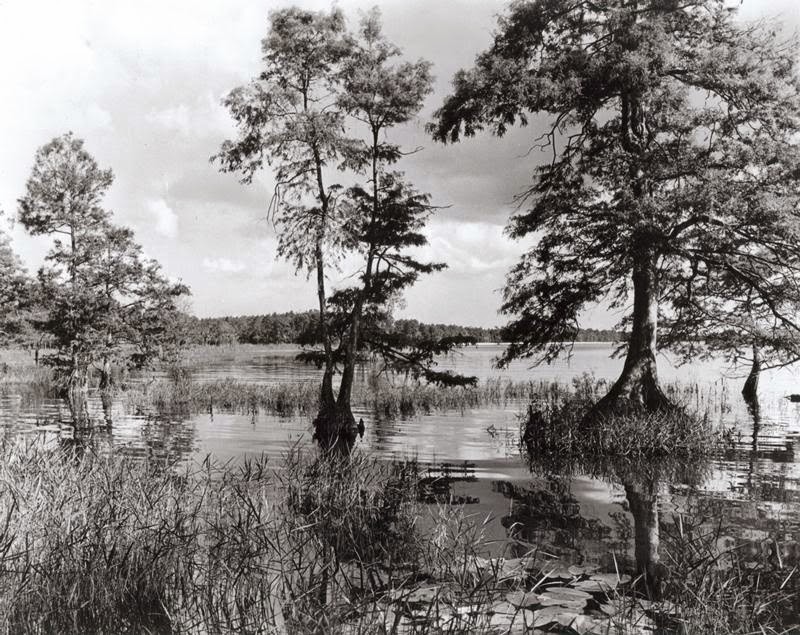 Fort Wilderness resides on over 700 acres of pristine Florida wilderness. Spanish moss, a sandy shore along Bay Lake, palmettos, and live oaks can be found around every turn of this unspoiled swamp. While the campsite loops and sidewalks in between activity areas constitute a majority of the walking, biking, skating, and golf carting traffic, there is also a nature trail along the shoreline to keep up with the rustic feel. And let’s not forget that this trail hosted a boardwalk through the cypress trees once upon a time. Moseying on over to Tri-Circle-D Ranch, this is the point where campers could saddle up and take a scenic ride on horseback. Though the location of barn where guests find their mounts has changed to a satellite facility, the Tri-Circle-D name remains the same, as do the vistas. Horseback ride meant a slow gait along the trails passing by the meandering, lazy waterways, through stands of pine trees, and right on down to the glistening waters of Bay Lake and back again. It’s truly a tour through one of nature’s wonderlands. For those guests wishing to keep their feet firmly on the ground, there has also always been the petting zoo at Tri-Circle-D Ranch. Located in the heart of the Settlement, this fanciful farm has housed goats, sheep, ponies, chickens, and, at one point in time, the Mickey-spotted cow known as Minnie Moo. 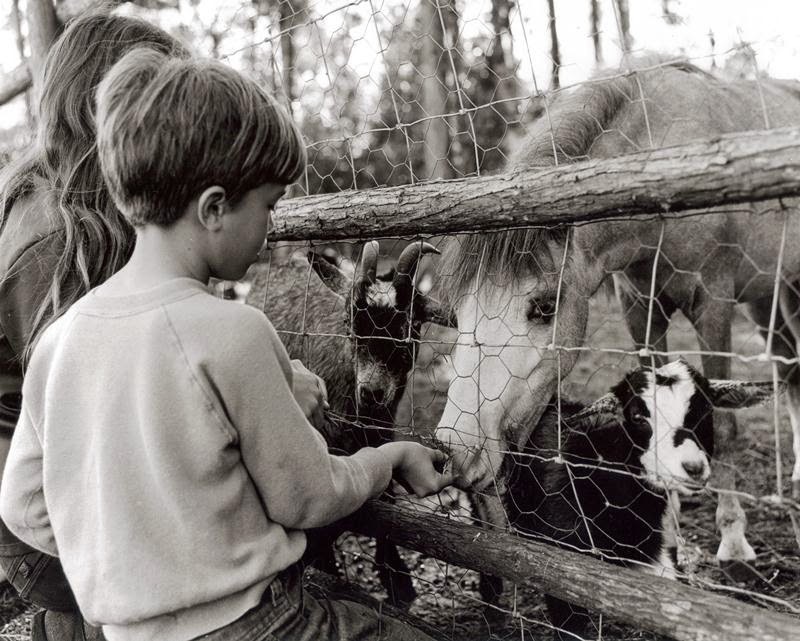 For a coin or two children could collect a handful of animal feed to share with their favorite farm critter and, if you had been especially good, there were even pony rides available. 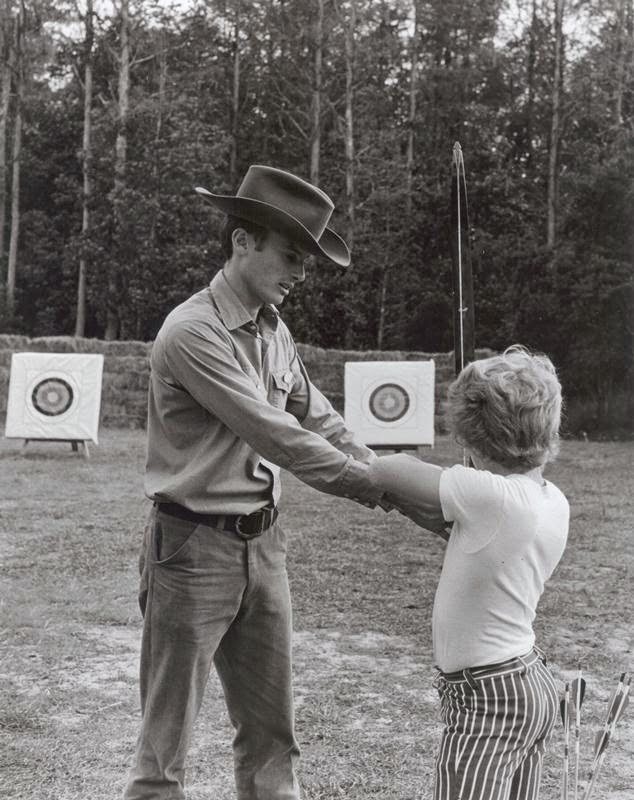 That’s right, long before Fort Wilderness rolled out the off-roading adventure of Segways, there were recreation hosts who could teach children the ins and outs of archery. Recreational activities abounded, but this may very well be the single most identifiable camp activity Fort Wilderness ever offered. By the way, can we just talk about how amazing this Cast Member's outfit is for a moment? So Fort Wilderness may not have been the bunk-filled cabins with limited adult supervision that most kids had at camp, but it did give me a strong memories of my own camp experience, not to mention a lifetime’s worth of stories to tell! The great thing about camp is everyone has had the same, yet unique, experience, and Fort Wilderness has certainly had all of the ingredients to cook up a hoot and hollering good camp.